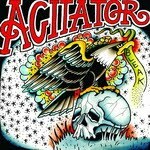 Agitator posted bran new song off of bandąs future Six Foot Under Records release, 'Bleak;. Listen to ‘Bury The Hatchet’ here or after the jump. More information and pre-orders coming soon!